Philip Wise and Barry Hancock have been involved in dozens of projects in Southern Dallas over the years. They've all been leading to this. About six years ago, Philip Wise and Barry Hancock’s Cienda Partners began using pseudonyms when buying up tracts of land on the southwestern side of the Trinity River near downtown Dallas, so as not to attract attention. By that time, Cienda was an old hat in the area after its involvement in dozens of projects in South and West Dallas, including Greenleaf Village and the Habitat for Humanity headquarters. But from its initial purchase—about 16 acres that used to be Dean Foods’ Oak Farms—it was clear that this project would be unlike every other Wise and Hancock had undertaken. This would be their legacy project. Cienda now owns about 36 acres near Interstate 35, Marsalis Avenue, and Colorado Boulevard, and another 11 acres just north of the forthcoming deck park by the Dallas Zoo. The partners had three criteria in searching for their legacy project. First, they wanted to find a large piece of property that could hold an entire neighborhood. If all goes according to plan, Cienda will create a walkable, urban community of up to 17 blocks on the northern tip of South Dallas, with a third of a mile of frontage on the Trinity greenbelt. At build out, the estimated real estate value of Cienda’s forthcoming project tops $1 billion. “For the health of our city, for quality of our families, we have to have development—jobs and good housing for all incomes—jump the river,” Wise says. Second, Cienda sought a land mass with visibility and accessibility via multiple modes of transportation. In addition to highway access from interstates 35 and 30, Oak Farms is near DART’s Greenbriar streetcar station and will connect to the Trinity’s hike and bike trails. Third, the partners wanted to find a property “in the path of progress,” Wise says. 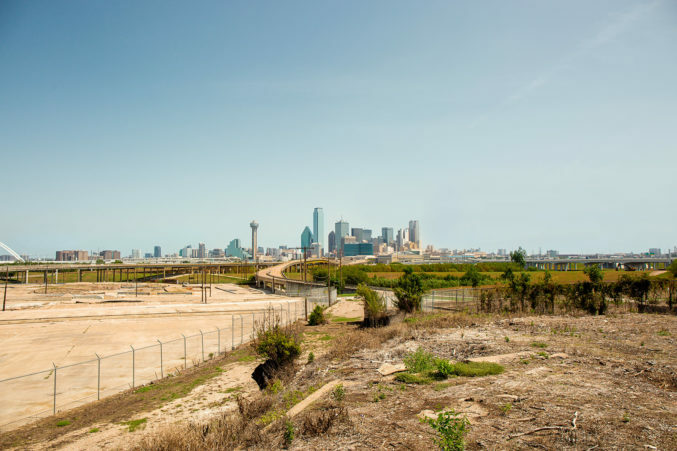 Oak Farms lies in one of Dallas’ five Opportunity Zones, which aim to spark activity in economically distressed communities by allowing investors to roll capital gains into designated zones without paying capital gains taxes. As this issue of D CEO was going to press, Cienda was planning to solicit additional investment with the help of its Opportunity Zone designation and complete an equity raise by year’s end. It hopes to horizontally develop the land with equity, holding off on taking on debt until the first phase of vertical development gets going next year. Oak Farms will have frontage on the Trinity greenbelt. Plus, Cienda is willing to take its time. Wise says the project, which will likely include four phases, will take about a decade to complete, and Cienda plans to hold onto the property long-term.